Having been to Chile and Argentina previously, Rick and Carol came to Knowmad looking to dive deeper into these countries. Working together with their Knowmad Trip Specialist, Rick and Carol landed on an off-the-beaten path itinerary that combined active travel and incredible landscapes, all while staying at some of the regions’ top luxury hotels. After a short time to explore Chile’s capital, it was off to northern Patagonia to discover the volcanoes and Germanic history along the shores of Lake Llanquihue. 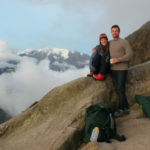 They then made their way through the spectacular Andean scenery by boats and buses to cross the border into Argentina. 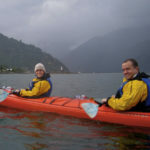 In Bariloche they kayaked on a nearly untouched lake and discovered the best viewpoints around the city before heading to nearby San Martin de los Andes to relax at Las Balsas. To round out their trip, Rick and Carol flew north, to the otherworldly landscapes of northwest Argentina and the Atacama desert. Here, they wound their way through incredible rock formations, multi-colored mountains, and one of Argentina’s top wine producing areas. Crossing the northern border, they ended their adventure at Awasi Atacama, in the world’s driest desert. 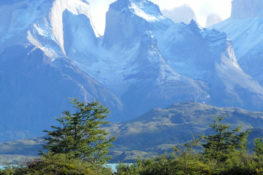 Do you want to travel to Chile & Argentina? We’re regional experts here at Knowmad Adventures and pride ourselves in building custom trips that are a perfect fit for our travelers. If you’re interested in crafting an adventure combining several regions in South America, but this particular itinerary doesn’t strike your fancy, don’t hesitate to reach out to our Trip Specialists at 612-394-2894 or travel@knowmadadventures.com to begin planning your trip today! You will take an overnight flight from the U.S. arriving in Santiago the following morning. Upon your early morning arrival, you will be met at the airport by a Knowmad Adventures representative and taken into the city for a half-day privately guided exploration. Your bilingual guide will lead you on a guided exploration featuring Santiago’s most important historic and cultural sites. You will begin at the beautiful park on Santa Lucía Hill, and nearby you will continue on to the governmental seat of Palacio La Moneda, the House of Justice, and the National Parliament. Along Plaza de Armas, the main square, you will visit the Cathedral and view the majestic architecture of the Post Office and governmental buildings. Also, if the weather is clear, perhaps overlook the city from the top of 300-meter San Cristóbal Hill. Enjoy sightseeing and people watching in this city that has been bustling with life from colonial times to present day. At the end of your excursion you will be dropped off at your accommodations to enjoy the rest of the day at your leisure. Independently explore the energetic city of Santiago before being transferred to the airport in accordance with your late morning or early afternoon flight to Puerto Montt (Spanish-speaking driver only). Upon arrival you will be met at the airport by your guide and transferred to the nearby city of Puerto Varas, situated on the serene, picturesque Lake Llanquihue. Enjoy the evening at your leisure, perhaps walking along the shores of the lake or discovering the charming German influences on the city. While at Hotel AWA you will enjoy a half-board basis having a lunch or dinner included at their restaurant daily with a variety of high-quality wines and alcohol included. Today enjoy a full day guided exploration of the culture and beauty surrounding Lago Llanquihue. First you will drive along the picturesque shores of the lake passing by typical wooden churches, Chilean farm houses, and a thick forest of Coigües trees in order to reach the village of Ensenada. At a nearby lookout, soak in the incredible views of the Lake District below and the majestic Osorno and Calbuco volcanoes. Descending from this viewpoint, you will arrive at the El Solitario trailhead in Vicente Pérez Rosales National Park, where your guide will lead you on a hike through native forest, new-growth forest and lava formations. Along this approximately 6 km trail, enjoy beautiful views of the volcano and lake as you climb and descend with the varied landscape. At the end of your hike you will continue to the beautiful Petrohué falls, a frothy waterfall through a volcanic rock canyon in Chile’s first national park. After the excursion you will be transferred back to your accommodations in Puerto Varas for a relaxing evening at your leisure. Today enjoy a full day guided exploration of the culture and beauty surrounding Lago Llanquihue. First you will drive along the picturesque shores of the lake passing by typical wooden churches, Chilean farm houses, and a thick forest of Coigües trees in order to reach Chile’s first national park, Vicente Pérez Rosales. 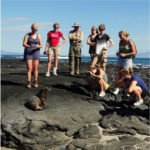 In the park you will enjoy a short walk along a river of solidified lava to the Verde Lagoon. Continue partway up the perfect cone of the Osorno Volcano towards Puerto Octay, a small and sleepy town with beautiful old houses made of wooden shingles, to soak in the views of the Lake District below. Lastly you will also visit Frutillar, a charming village noted for the German-influenced architecture developed by the immigrants who arrived around 1853. Enjoy a pleasant walk, as well as lunch, as you visit restored colonial houses, an open-air German museum (time dependent) and learn the history of this picturesque town. After the excursions you will be brought back to your accommodations in Puerto Varas to enjoy the evening at your leisure, perhaps walking along the shores of the lake or visiting a café in town. Today you will be picked up at your accommodations by your guide and transferred to the Cruce Andino pier to begin your adventure to Argentina. Driving along the lake accompanied by Cruce Andino staff as you will be throughout your journey, you will enter Vicente Pérez National Park and see volcanically formed emerald waterfalls as well as sweeping vistas to the Osorno and Calbuco volcanoes. Continuing deeper into the park you will take a motor yacht cruise to a beautiful lodge on the shores of Lago Todos los Santos, where you will stop to enjoy the view and have lunch (to be paid direct by travelers). Crossing over the Andes you will stop to go through customs before you take another breathtaking boat ride. Upon arrival at the Puerto Pañuelo pier, you will be met by a private transfer and taken to your accommodations. Spend a relaxing evening at your accommodations near the shores of Lago Nahuel Huapi or independently exploring all the city has to offer. Today, you will embark on a full-day exploration that combines coastal kayaking with a nature trek in the forest. In the morning, you will be transferred to the Wiritray campsite, owned by the native Mapuche community. From here, you will start paddling towards Playa Leones, one of the most beautiful beaches of the Nahuel Huapi National Park, and do a nature-oriented trek through the forest to Yum Lagoon. Returning to Playa Leones, you will have lunch and time to relax before kayaking back to the starting point and your return transfer to your accommodations in Bariloche. Today, you will complete a classic circuit of San Carlos de Bariloche in a fun, active way. While visiting the most important viewpoints of the area like Campanario Hill and Llao-Llao Hotel, the guide will explain how this once little mountain village has turned into one of the most attractive cities in Patagonia. Along the route, you will appreciate the beauty of Lake Moreno and Lake Nahuel Huapi, as well as the Lopez and Capilla mountains. You will also do a nature-oriented hike through an impressive native forest on the Llao-Llao Nature Park. The trail ascends from the foothill to the lookouts of Mount Llao-Llao to enjoy wonderful panoramic views of Tristeza Sound, Blest Sound and North Branch of Lake Nahuel Huapi framed by the Patagonian Andes. To end the excursion, you will visit a traditional microbrewery to do a beer tasting before transferring to your accommodations in Villa La Angostura for an evening at your leisure. Surrounded by native forest, enjoy a relaxing day at your leisure. Perhaps take a walk around the property or along the shore of Lake Nahuel Huapi, or visit the nearby small town of Villa La Angostura, known for its Alpine-style buildings. You will also have access to the spa at Las Balsas, where you can take a fitness class or go for a dip in the pool while enjoying gorgeous views of the lake and mountains. Today, you will be transferred approximately 1 hour to the Bariloche airport in accordance with your onward flight to Salta. Upon arrival, you will be met by your Knowmad guide and transferred to your accommodations to spend the evening at your leisure at the gorgeous, tranquil estancia. After breakfast, you’ll leave the city of Salta behind to discover the Calchaquies Valley, an unforgettable journey through a region molded by a turbulent pre-Incan and colonial history. You will continue north through charming small villages built with Adobe clay until you reach Cachi, one of the most beautiful colonial villages in the Salta province, complete with the snow-capped Nevado de Cachi (18,000 feet) as its backdrop. Have your camera ready today as you walk along Cachi’s narrow cobbled streets and visit the church and the archaeological museum. Departing Cachi, you will head south to the village of Molinos, where you will spend the night. In the afternoon you will visit Estancia Colomé, one of the oldest vineyards in the country. Surrounded by breathtaking natural beauty, tour the vineyards and winery facilities in the company of Colomé’s wine experts that will explain the sustainable concept of the vineyard and taste some of their famous wines. You could also visit their new contemporary museum created by James Turrell. Late in the afternoon, you will return to Molinos to spend the evening at your leisure. Today, you will leave the village of Molinos and head south through the “Quebrada de las Flechas,” a curious arrow-like formation on an eerie and almost lunar surface. Your destination today is Cafayate, the most important town in the “Valles Calchaquies,” well known for its wines and especially the white grape Torrontés. Enjoy lunch at a private local winery, Bodega Porvenir which is the former governor’s winery. Following your winery visit, the rest of the day is yours to independently explore the town or your guide can accompany you to do some hiking in la Yesera to experience the natural wonders of the region. On your last day in the Calchaquies Valleys, you will experience the breathtaking “Quebrada de las Conchas,” a deep valley of red canyons characterized by intense colors and spectacular geological formations caused by the concentration of different minerals in the soil. You will also stop at the “Anfiteatro,” a natural rock cave open to the sky created by a waterfall millions of years ago. After experimenting with the incredible acoustics, you will continue your journey back to Salta. The afternoon is yours to spend at your leisure, relaxing at your accommodations or independently exploring the area. This morning you will enjoy a guided exploration of the city of Salta, the most representative Spanish colonial city in Argentina. Visit the Cathedral and the Church of San Francisco, a magnificent Franciscan temple with fine architecture ornaments. Also see the baroque style Town Hall, the craft market, San Bernardo Hill, and the High Mountain Archeological Museum, Museo de Arqueología de Alta Montaña. After your time in the city, visit San Lorenzo for a lovely view of the city before returning to your accommodations. Spend the afternoon independently, perhaps walking around the lovely estancia property or unwinding at the spa. In the evening, join the House of Jasmines chef to learn about Argentinean cuisine and make your own empanadas while enjoying an awesome cooking class. Today you will depart Salta to visit the Quebrada De Humahuaca, with its breathtaking landscapes, rock formations, and pre-Hispanic towns. After breakfast, you will head towards the Province of Jujuy on a cornice road, going through the spurs of the Yungas Forest. We continue exploring the Yunga, a Quechua name for warm Andean valleys. This area is home to one of the most biodiverse environments of Argentina and offers the possibility of watching birds such as the dwarf woodpecker, the Andean seagull, the small coot, and egrets, to name a few. Continuing on to Tilcara, you will visit the famous Pucara, an archeological site of the Omaguacas, a culture that lived in the region more than 900 years ago. Finally, you will arrive at town of Purmamarca , well known for its Cerro de los Siete Colores, or Hills of Seven Colors where you will be able to enjoy some light hiking. Enjoy the rest of the day at your leisure. Today, enjoy a spectacular drive across the Andes Mountains. After being picked up at your accommodations you will drive up into the Andes and across the Great Salt Plains to arrive at the Paso de Jama, the border with Chile. After helping you with the border paperwork, your Argentina guide will not follow you across the border. On the other side of customs you will be met by a Knowmad Adventures representative and taken in private transfer onward to your accommodations in the Atacama Desert. Along the way you will cross the altiplano and its high altitude lagoons with flamingos, salted deserts, volcanoes as background, and possibly even see herds of vicuñas. Driving through this amazing desert you will be taken to your lodge accommodations. While at Awasi Atacama you will be paired with a private guide and vehicle for the entire duration of your trip, a unique opportunity that ensures all of your excursions and activities will be tailored specifically to your interests and abilities. Activities are chosen upon arrival with your guide, and could include horseback riding, exploring the canyons and geysers, visiting archaeological sites, and stargazing. You will also enjoy gourmet food and a range of wines and alcohol as part of your adventure inclusive package. Continue enjoying your adventures throughout the region and your stay at Awasi Atacama. After a morning at your leisure, you will be transferred approximately 90 minutes to the Calama airport in accordance with your onward flight to Santiago. Arriving in the capital, you will be responsible for independently catching your connecting international overnight flight home. 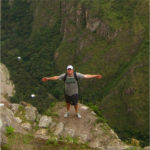 Knowmad Adventures works closely with independent-minded travelers creating innovative trips to South America. 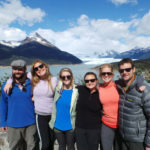 Our specialists in Patagonia, Chile, Machu Picchu, Peru, Argentina, the Galapagos Islands, Ecuador and Antarctica are eager to collaborate and create a trip as unique and authentic as you are, and our experienced South American operations team guarantees you get an insider’s perspective, superior values, and a flawlessly-operated trip.